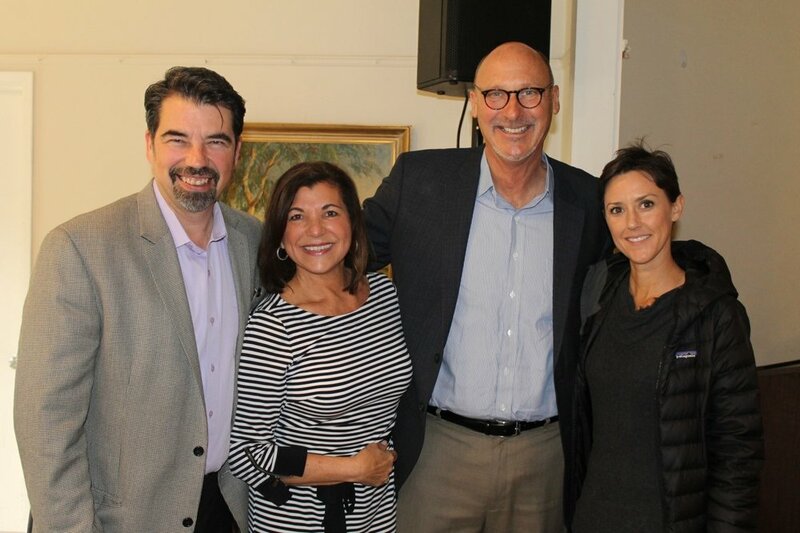 Santa Barbara, Calif., April 30, 2018 — Hospice of Santa Barbara recently had the privilege of inviting its supporters and community members to its Compassionate Care of Carpinteria (CCC) Community Breakfast on April 26. Compassionate Care of Carpinteria is a new program that offers services to adults facing life-threatening illness as well as children, families, and seniors who are grieving the death of a loved one. One of CCC’s goals is to help families navigate real-world needs related to life-threatening illness through guidance about medical services and coverage, medical consultations, therapy and emotional support, and in-home evaluations and support. Individuals may also take part in local education workshops provided by CCC. CCC also offers bereavement services including individual, group, and family counseling programs. Compassionate Care of Carpinteria’s services are provided to both children and adults free of charge and are also available in Spanish. Students enrolled at Carpinteria High School, Rincon High School, and Canalino Elementary School have access to these counseling services. At last week’s breakfast, guests had the chance to learn more about the program, as well as various volunteer opportunities such as I Have A Friend and general Patient Care Services. Jamie Throgmorton, a Patient Care Services volunteer, shared about her appreciation that programs are now being offered in Carpinteria. Maria Gonzalez, Family Resource Center Program Director, spoke about Carpinteria Children's Project work with several local programs, including Family Service Agency and the Department of Social Services, as well as the organization's partnerships with Compassionate Care of Carpinteria. Compassionate Care of Carpinteria’s office is located at the Carpinteria Children’s Project. For more information on receiving services or how to get involved, please call (805) 563-8820 or visit www.compassionatecareofcarpinteria.org.